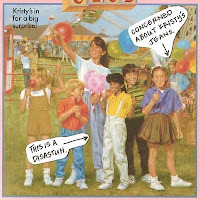 Gen Xtinct: Leggings! Triple-rolled socks! Leopard spotted pants! Leggings! Triple-rolled socks! Leopard spotted pants! For fans of The Babysitters Club books: What Claudia Wore. Really, this should be called "What DIDN'T Claudia Wear?" Girl never met a wacky fashion trend she didn't like. I didn't read these books, but I still found the site hilarious.